• April 17 marked Albert Woodfox’s 42nd year in solitary confinement. Woodfox, a member of the Angola 3, remains locked up even though his sentence has been overturned three times. • Andrew Cohen of The Atlantic pens a review of Solitary Nation, the first of two highly anticipated Frontline documentaries about the US criminal justice system. Solitary Nation is due to air on PBS on Tuesday night. • The Center for Investigative Reporting posted their newest story on Medium: an in-depth look at Santa Cruz Country Juvenile Hall, which is “considered a model facility when it still places youth in 23-hour isolation, sometimes for days on end”. CIR also posted a Q&A with a neuroscientist about how isolation affects still-developing brains. • A Maine court has sent an individual with a diagnosed personality disorder back to prison after ruling that he now has “substantial capacity to appreciate [the] wrongfulness” of his behavior. Experts testified that Michael James had improved while in a psychiatric facility but was still engaging in self-harm and manipulating hospital staff. James has previously spent many years in solitary confinement. • A transgender teenage girl has been placed in de facto solitary confinement in a Connecticut adult prison, despite the fact that she faces no criminal charges. A rarely-used statute in the state enables the Department of Children and Families (DCF) to place juveniles in adult prisons if they prove they cannot care for the youth anywhere else. • Vice featured a piece about Mahdi Hashi, the 24-year old terror suspect currently held in pre-trial solitary confinement at Metropolitan Correctional Center in Manhattan. In 2012, Hashi was stripped of his British citizenship, held for months in a Djibouti prison, then rendered to the United States and indicted on federal charges. • The Colorado Senate has passed a bill to reduce the use of solitary confinement for individuals with mental illness. The state’s House will now consider the bill’s passage. • The New York Times covered the conditions of confinement endured by Boston bomber suspect Dzhokhar Tsarnaev. He is currently held in pre-trial solitary confinement and is further bound by extremely restrictive Special Administrative Measures (SAMs). • An individual incarcerated in an Alabama prison alleges that he has spent the last four months in solitary confinement in retaliation for organizing an inmate work strike. Speaking to reporters using a contraband phone, Melvin Ray described the conditions on the inside as “hell on Earth” and condemned a “systematic operation” that allows private manufacturing industries to utilize the prison’s low-wage labor. • A federally funded watchdog group empowered to investigative complaints about the mistreatment of people with disabilities has launched an investigation into abuses at Bridgewater State Hospital. Individuals with mental illness at the medium-security prison have allegedly been put into physical restraints and isolation cells in violation of state law and a court order. This entry was posted in Seven Days in Solitary and tagged Albert Woodfox, California, Civil Liberties/Civil Rights, Colorado, Connecticut, Dzhokhar Tsarnaev, extradition, Gender/Sexual orientation, International, Legislation, Louisiana, Mahdi Hashi, Maine, Mental Illness, Michael James, Older Prisoners, Political Prisoners, Santa Cruz Country Juvenile Hall, Solitary Confinement, Special Administrative Measures, Terrorism Cases, transgender. Bookmark the permalink. Read- My Name is Jamie. 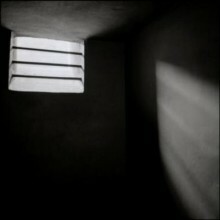 Life in Prison – http://www.sonniquick.blog.com – Jamie has been in solitary (aka ad seg or G5 for over 8 years now. I know the struggle it takes to keep deep depression under control.